Sicily by Car is for those who like to take the “matter” in their own hands, because, let’s make it clear – to fully enjoy your vacation in Sicily you need the car. This fascinating island has so much to offer - from bustling cities to idyllic hilly countryside covered by vineyards, orchards of olive and orange trees, dotted with architectural marvels and filled with cultural treasures left by ancient Greeks, Romans, Phoenicians and subsequently Normans, Arabs, Spaniards and French rulers. It’s is impossible to “savor” such country and enjoy its richness traveling on foot or by using the public transport! I’m pretty sure you already read tons of blood freezing (or raising pressure) blogs pointing to “lunacy” of Sicilian drivers and perpetual chaos on the streets. But after spending almost three months behind the steering wheel on Sicilian roads and streets I can say that such stories do not reflect the reality, but rather the need for sensationalism! 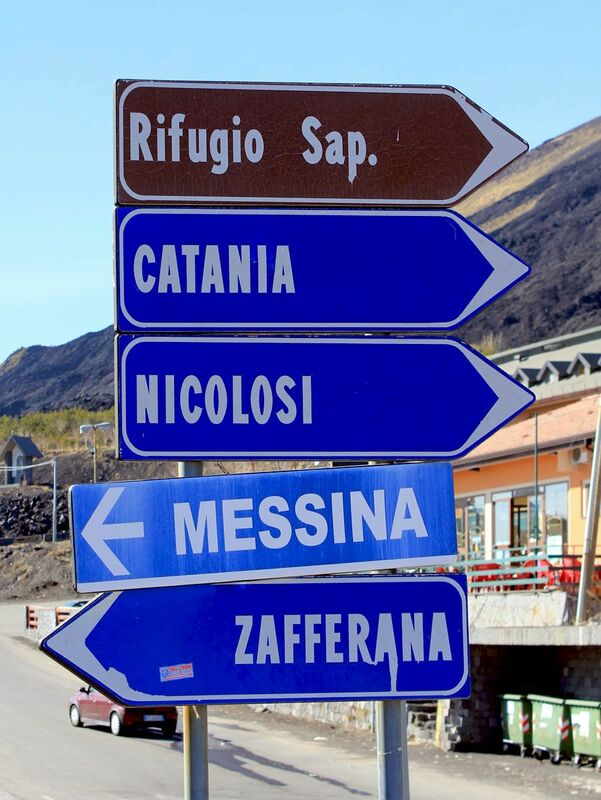 Driving in big cities like Palermo, Catania, Messina… does! And it is not due to the fact that traffic lights as many bloggers claim may have only decorative value (kind of “Christmas Tree), or that traffic regulations may be randomly overruled. The real danger comes from bikers (scooters) fearlessly and carelessly meandering between cars on busy town streets (more on that in --> Driving in Sicilian Cities. 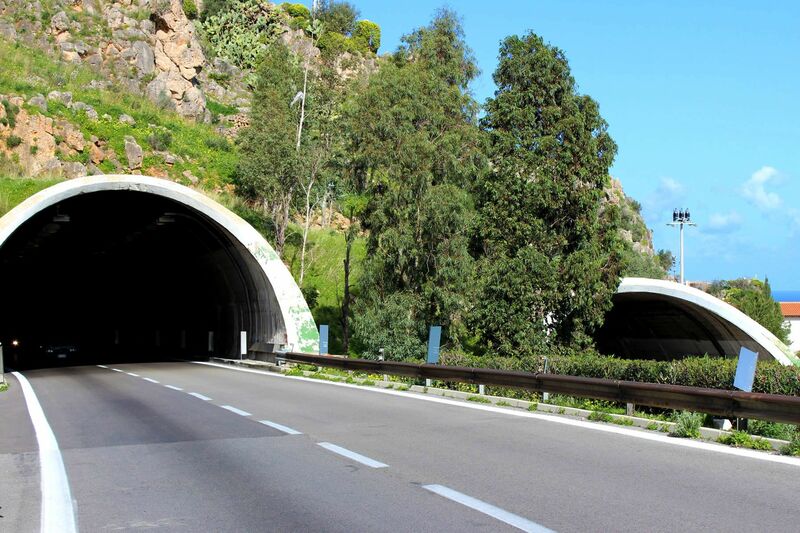 An average driver can easily take Sicilian highways and countryside roads. It will be highly rewarding and “reasonably” safe (as in most parts of the western world). Sicily has mountains ranges along the northeastern cost and mostly hilly landscape throughout the island. As the results - some segments of highways are successions of tunnels, bridges and viaducts. Countryside roads may exhibit winding patterns; watch for bends and flocks of sheep! Be sure - driving in Sicily is never boring! In a way it all adds to the beauty of the island. Driving in Sicilian towns is not recommended for faint-hearted drivers (“Manhattan driving experience” will certainly provide good basic skills). And frankly, there is no need to drive in big cities. All historic centers are small and you will be exploring them on foot! 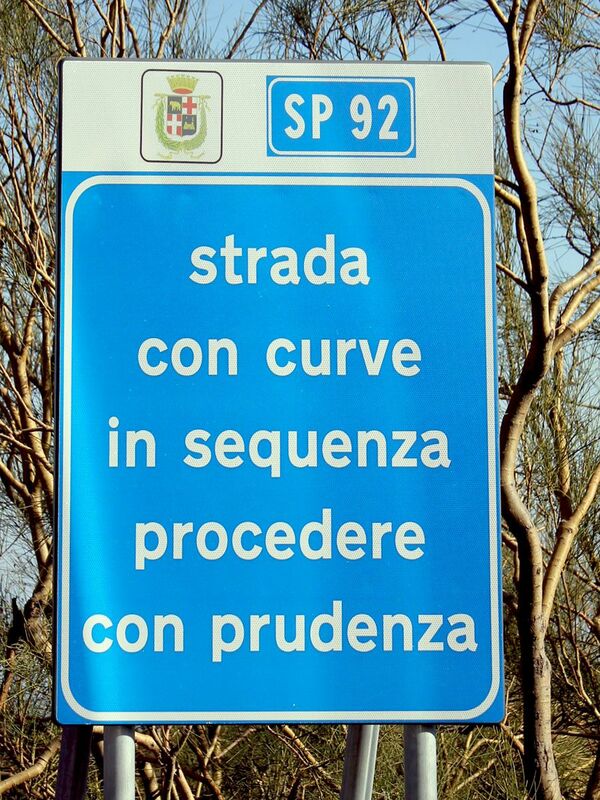 Road signs are pretty clear although sometime you have to make an effort to understand their meaning (here is a warning that this SP 92 has many bends and so you should drive carefully). Any EU driving license is valid for Sicily. However, US and Canadian visitors must have an International Driving Permit (IDP) together with their original licenses. No worry – you can get IDP at your nearest AAA or CAA office. While a GPS in your car may be helpful, you definitely need a good map of Sicily! It will greatly help you to visualize the whole itinerary, follow successive “next towns” and keep track of your final destination – all at once. Avoid renting big and expensive cars, pick a compact one that suits your personal needs (number of persons, luggage…. ), not your ego! Exclude Smart (it is good for city, but obviously this is not the place where you want to drive). Automatic cars are not that popular in Europe so definitely they are more expensive. However, if you are not familiar with driving using a “stick”, you have no choice. Last thing you need when driving in Sicily is an extra stress (and potentially a lot of frustration). You do not want to “fight” with stick when on the road! Regardless of your GPS and maps, you will certainly need to ask locals for directions. 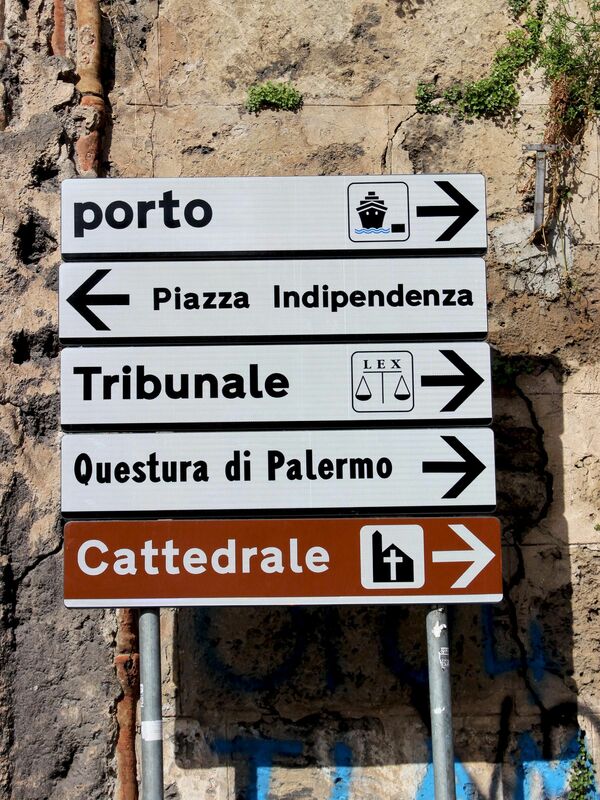 Please note that Sicilians are very friendly but rarely speak any foreign language. They will keep talking and explaining for several minutes regardless of the fact that we do not understand them. 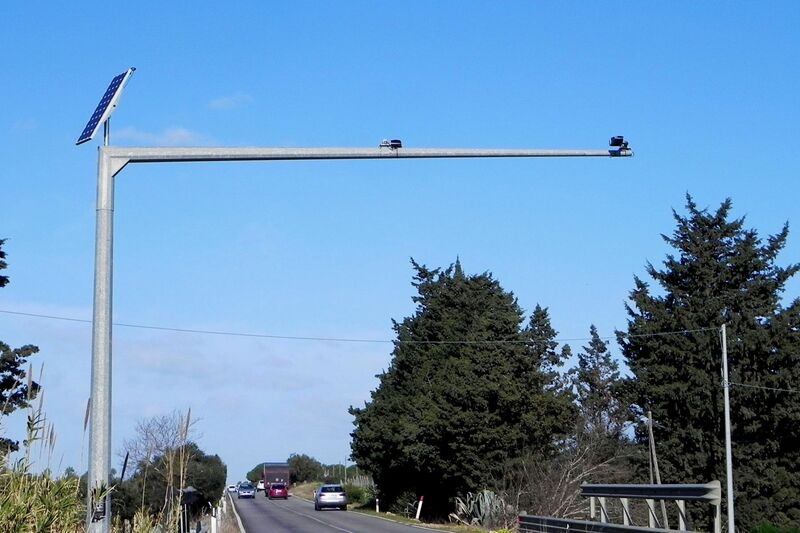 From driver’s point of view, Sicilian network of roads consists of Highways as well as National, Provincial and Local Roads. Although such classification lacks consistency, because it combines technical category (Highways) with administrative ones (Managed by Central Government, Province or Municipality), it somehow represents roads in order of their importance and quality. And I think, it helps you not only to smoothly navigate through the web of island’s roads but also to make “educated” decision when selecting your itinerary. Highways (Freeways, Motorways) are identified by a capital letter “A” (for their local name Autostrada) followed by a number (for example A18). All highways’ road signs are always displayed on the green background! Sicilian main roads are classified based on their managing authorities and belong to either Strada Statale or Strada Provinciale. 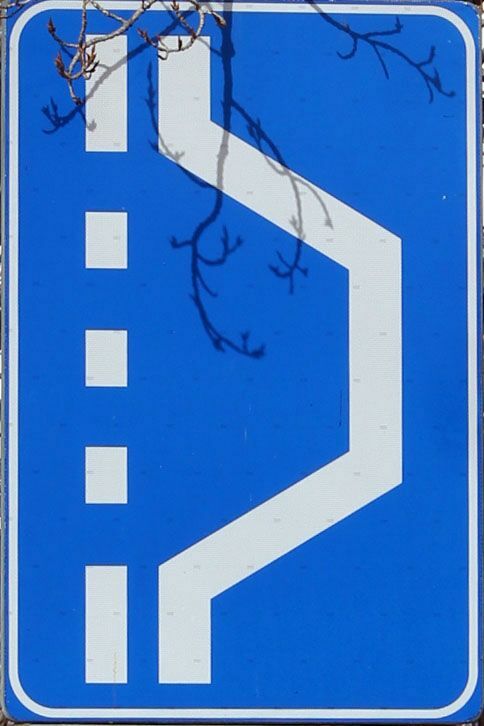 The corresponding road signs have blue background. Strada Statale (meaning “State Road”) in reality represents National Roads (similar to French RN – Route Nationale). These roads are managed by the Central Government and are identified by the capital letters “SS” followed by the number (for example SS114….). 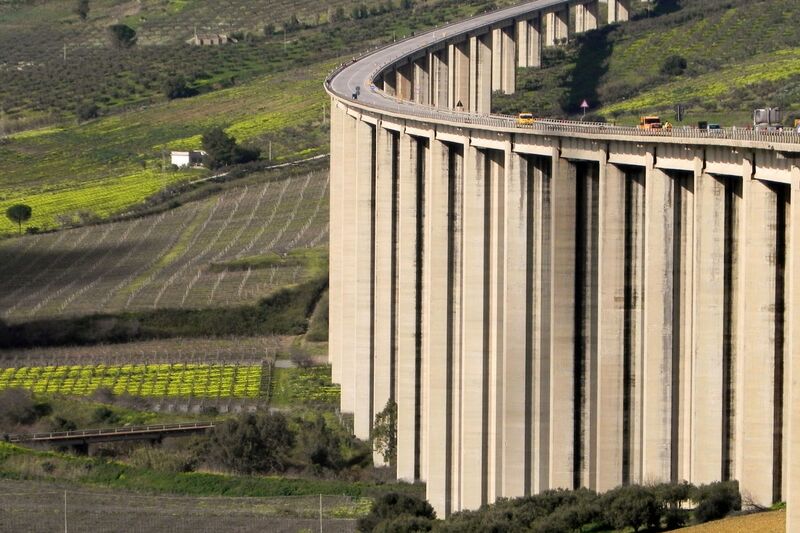 From the administrative point of view, Sicilian highways belong to the group of Strada Statale, however due to their clear “technical superiority”, they are classified as a separate group of roads. 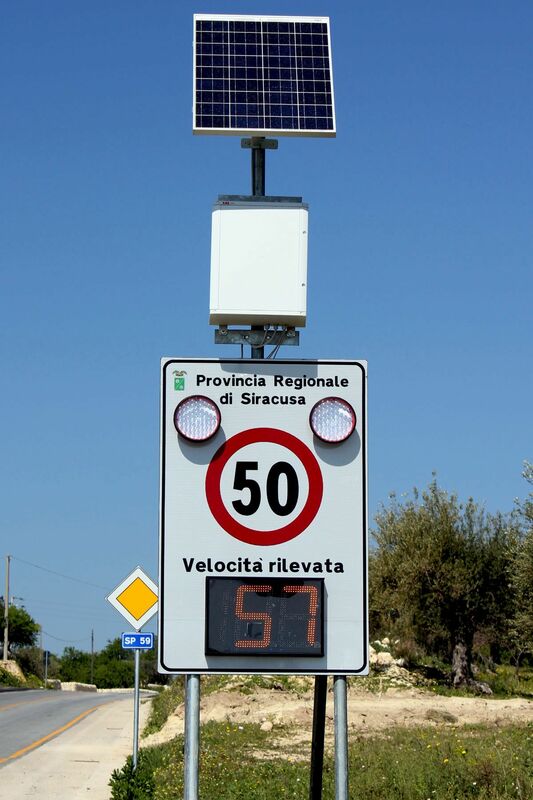 Strada Provinciale (meaning “Provincial Road”) represents roads managed by Provincial Governments (Sicily has nine provinces: Agrigento, Caltanissetta, Catania, Enna, Messina, Palermo, Ragusa, Syracuse and Trapani). These roads are identified by capital letters “SP” followed by the number (for example SP1…..). 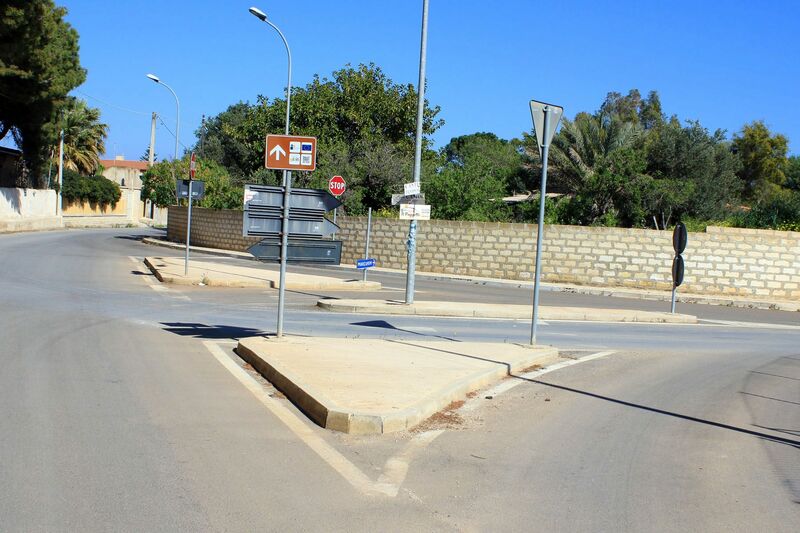 For completeness we will also mention Strada Comunale (Municipal Road). Corresponding road signs are displayed on the white background. EU legislation requires that all new cars are equipped with DRLs (Daylight Running Lights). So do not be surprised that your headlights are automatically turning ON with the engine. To make it clear - they are not designed to help you to see the road during the day, but to make your car clearly visible by others. Unfortunately many cars on Sicilian roads are quite old, so do not expect that everybody will be respecting new legislation. Regardless what others are doing, make sure that your headlights are ON, it is about your safety! This will be more common situation! EU legislation requires also that new cars are equipped with rear “anti-fog lights”. These lights are much brighter than regular tail lights so your car can be seen from farther distance when driving in limited visibility (foggy) conditions. The catch is - you have to turn them ON when needed, but also turn OFF once you are out of fog (under normal driving conditions they may be harmful to other road users. Bottom line is – before starting your Sicilian Road Odyssey get familiar with control switches in your car!